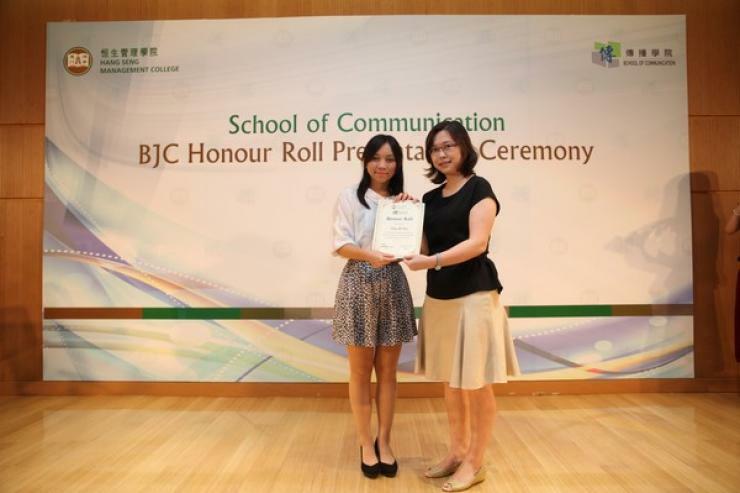 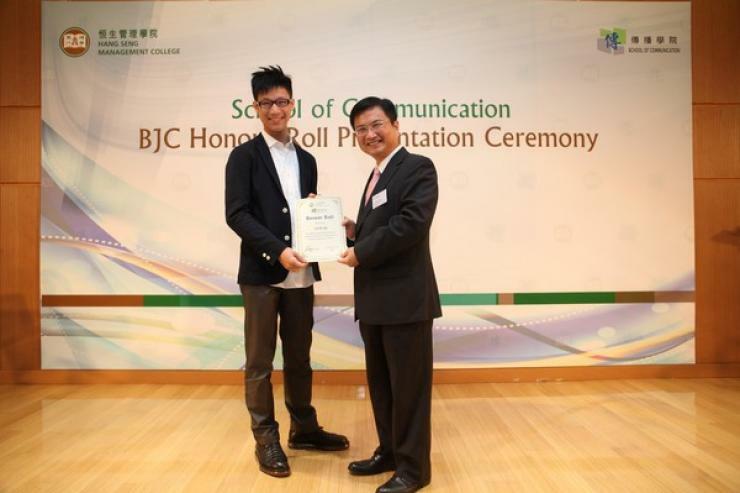 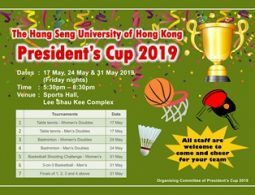 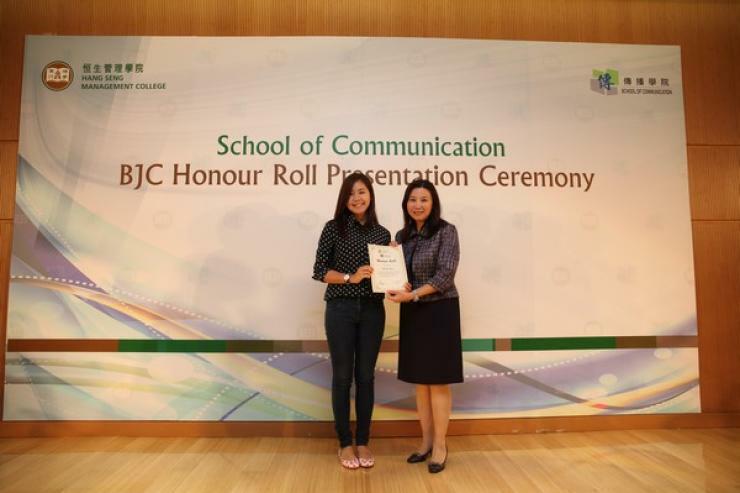 To compliment students on their outstandingacademic performances, the School of Communication has established the “BJCHonour Roll”. 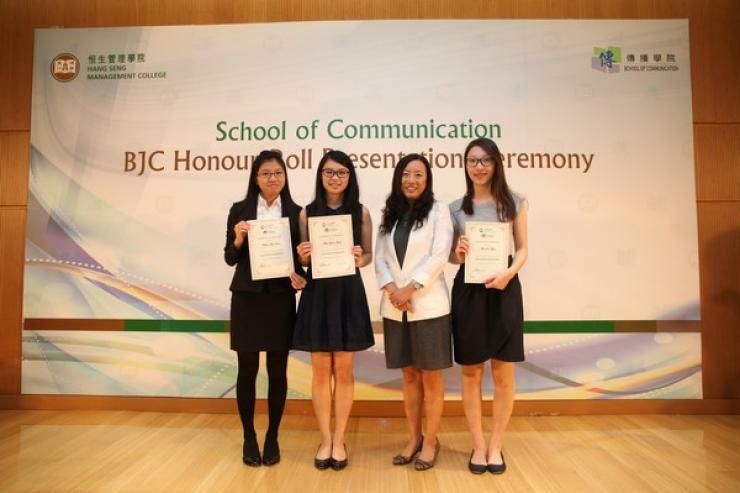 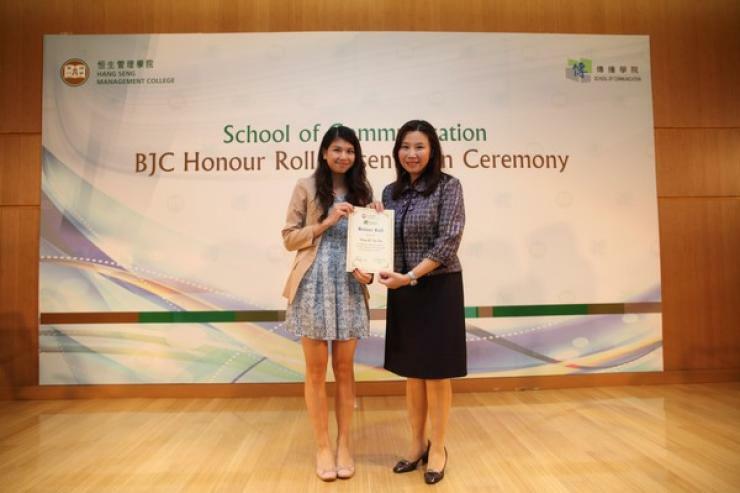 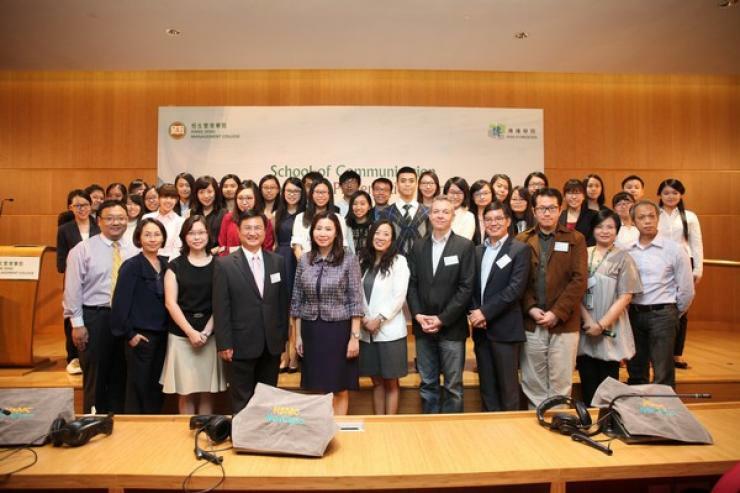 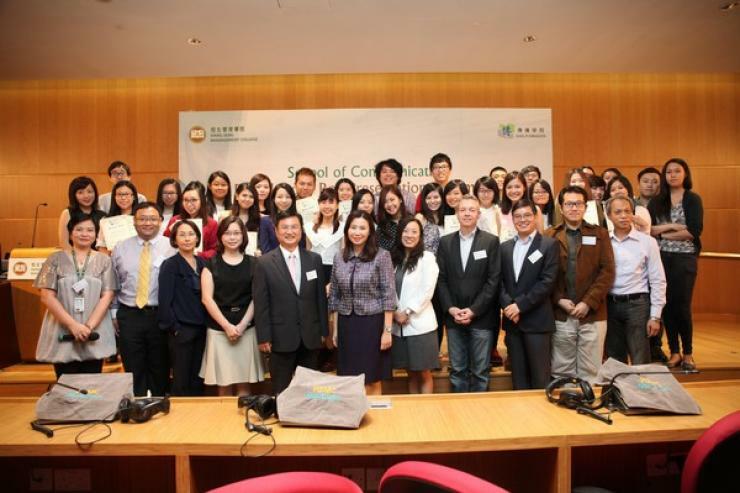 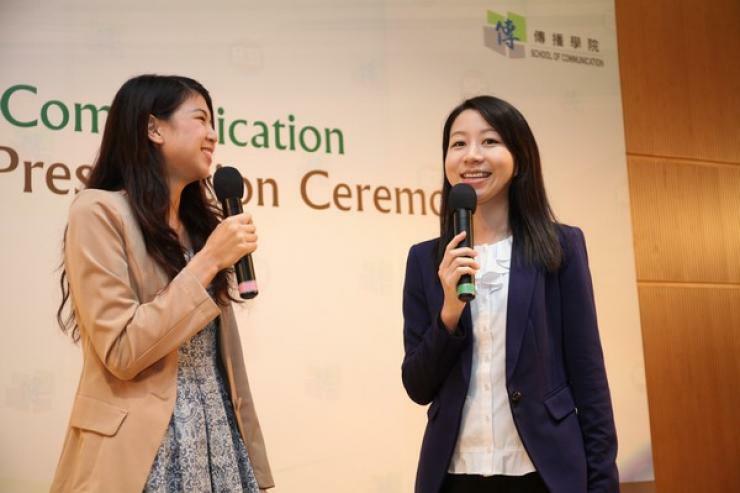 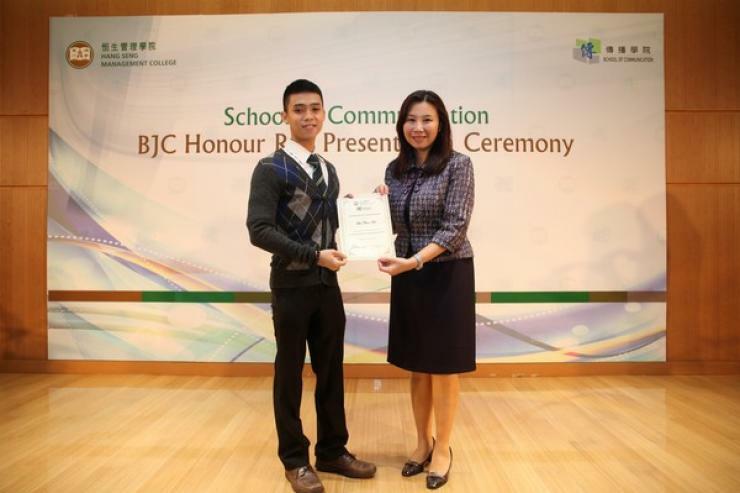 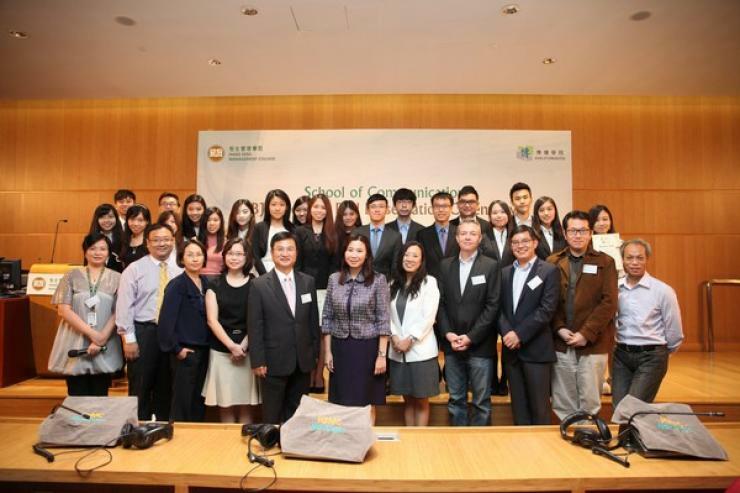 The third award presentation ceremony was held on 17 September2014. 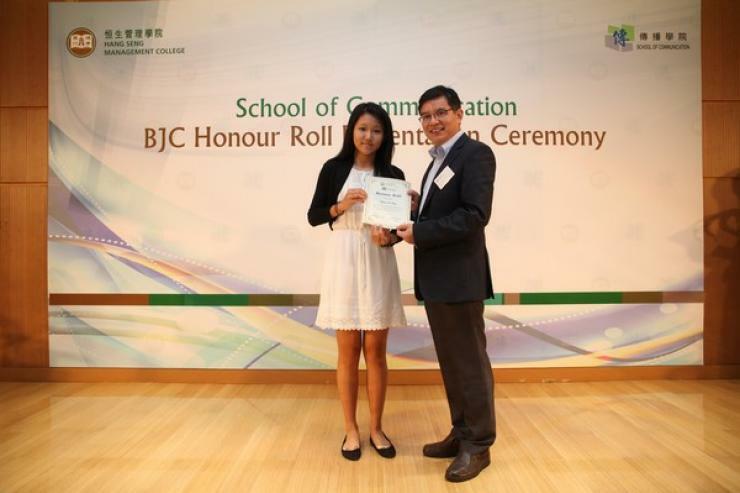 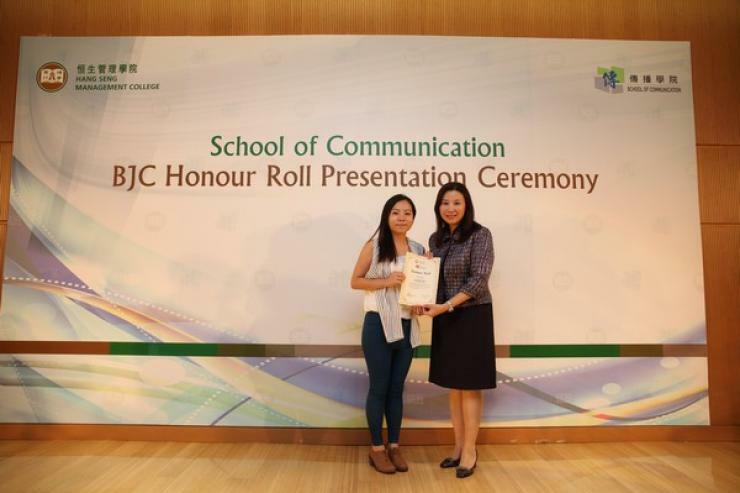 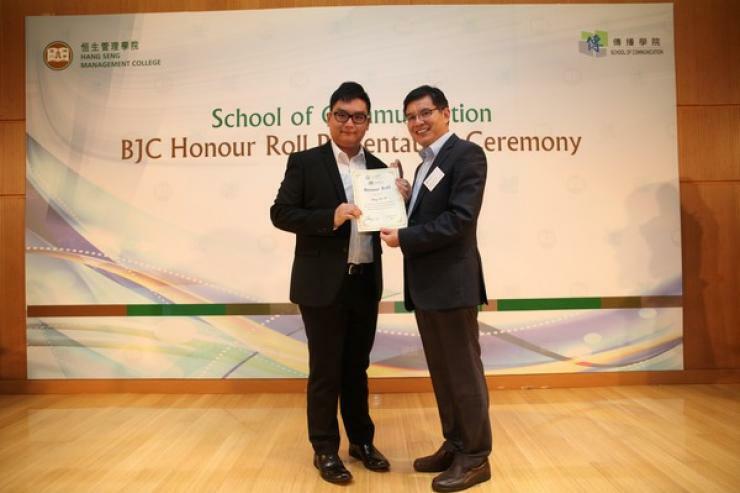 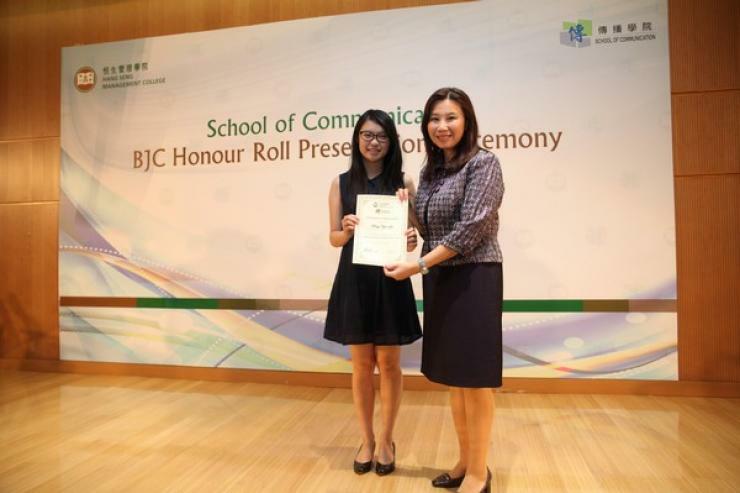 During the ceremony, Prof Scarlet Tso, Dean of the School ofCommunication, Mr James Chang (Department Head), Dr Clio Wu and Dr Howard Song presentedthe honour roll to 132 students. 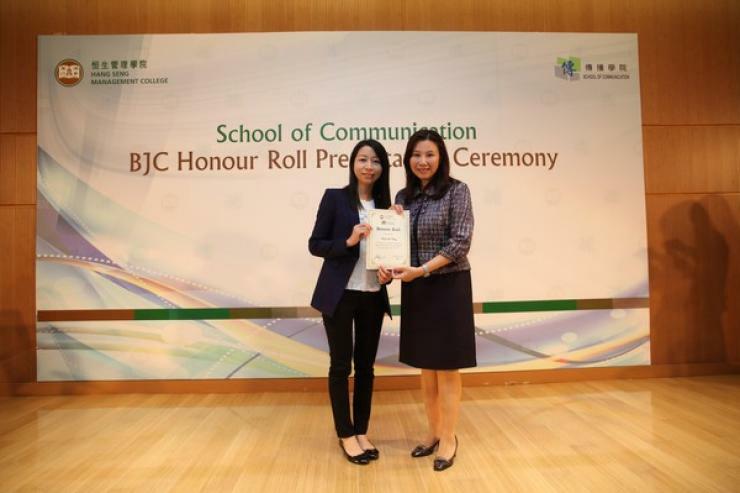 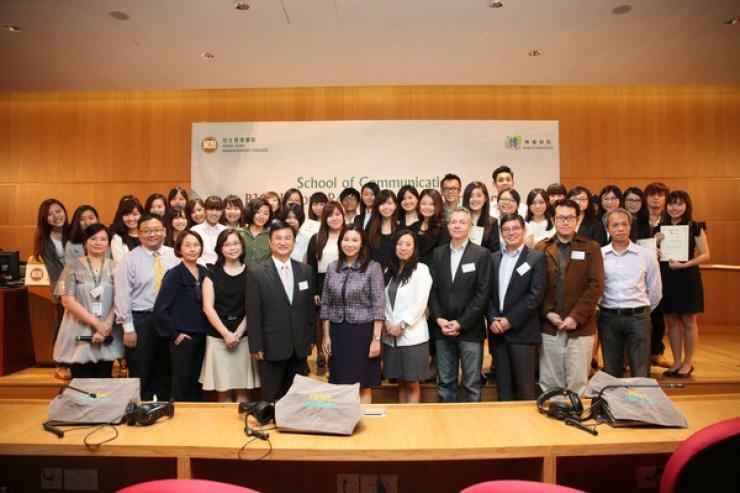 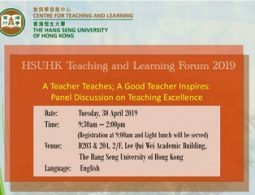 In addition, Prof Scarlet Tso presentedcertificates to 30 members of Editorial Board of Enlightenment Post and DrMeily Cheung presented certificates to 28 participants of Anchoring and RadioWorkshops respectively. 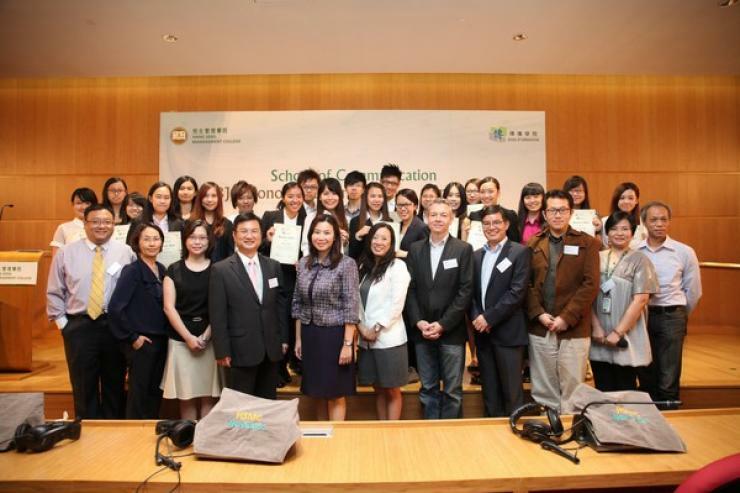 Besides, there was a chit-chat session by two Year 3(2013/14) students. 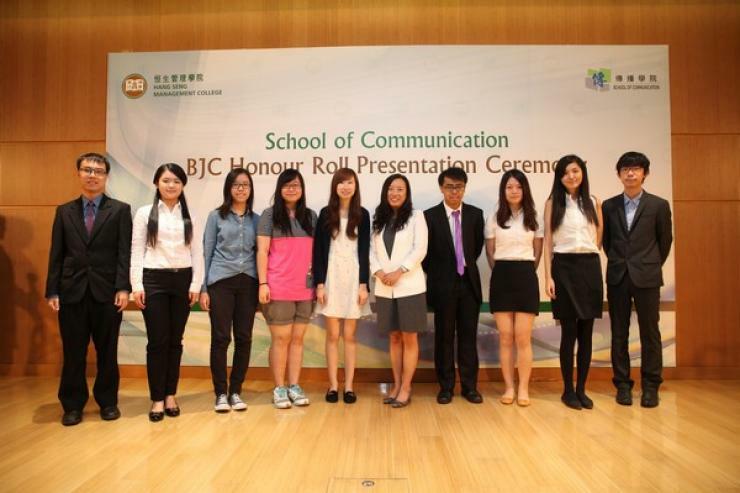 They shared their learning experience and time managementskills to their fellow students. 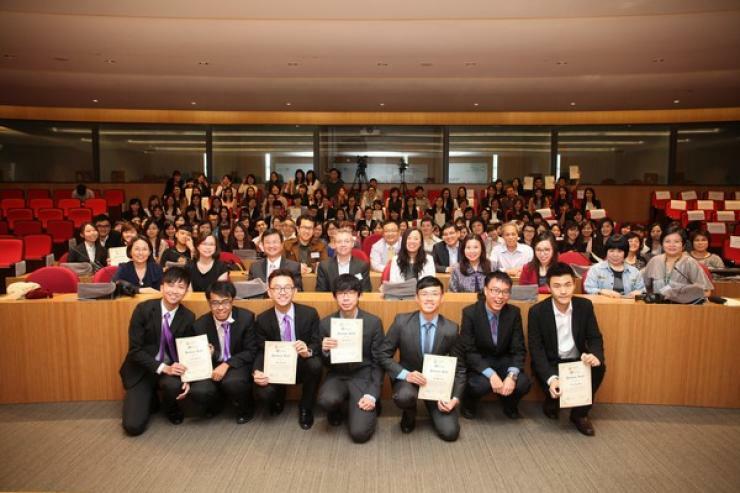 Prof Tso commended students for their accomplishment and encouraged them to continue their efforts for self-betterment. 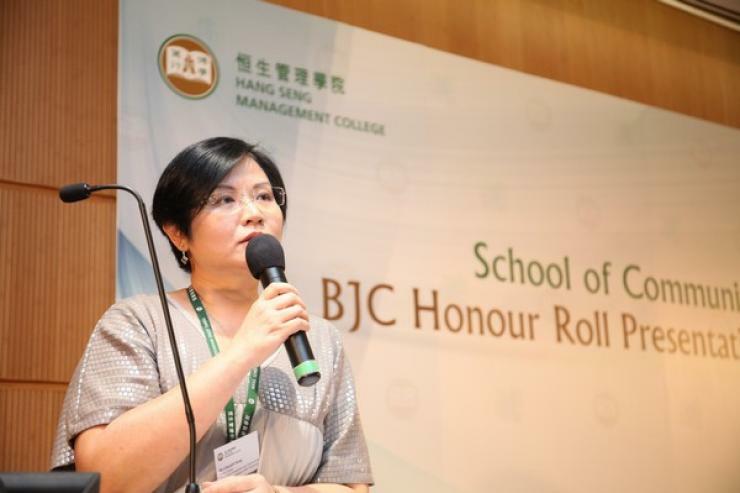 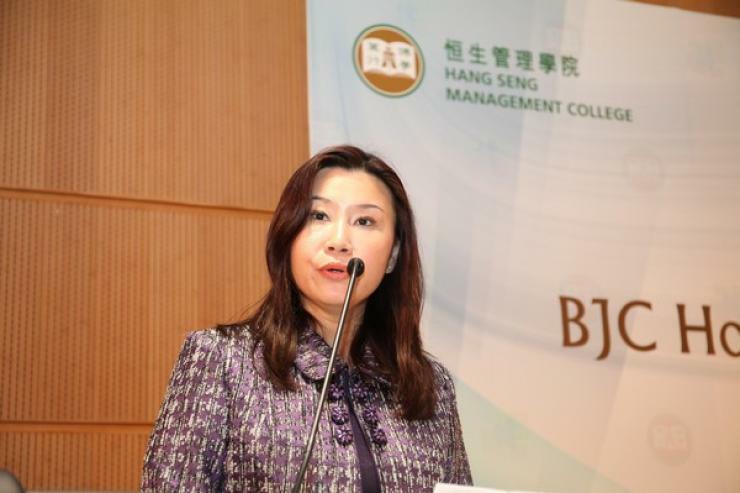 Prof Tso also expressed sincere thanks to parents for their participation in the ceremony.